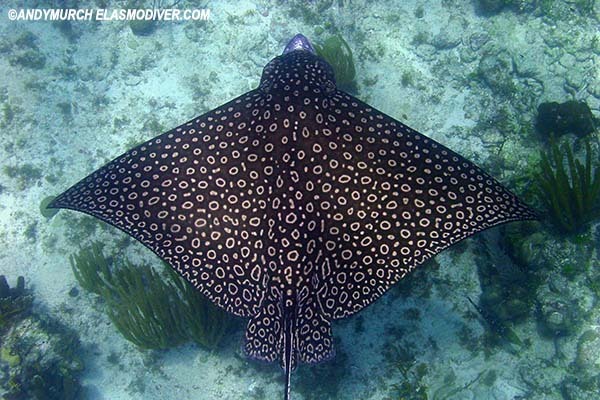 These pictures of whitespotted eagle rays - Aetobatus narinari are available for commercial licensing. To inquire about licensing any of these images please contact Elasmodiver. Please include all relevant information regarding your intended usage including size of print run if applicable. 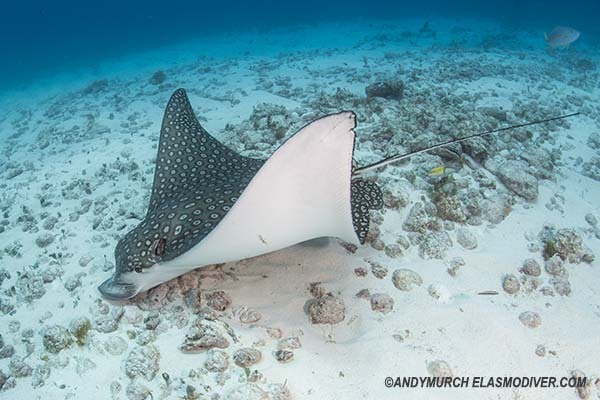 These images of the Whitespotted Eagle Ray Aetobatus narinari are the property of Marine Life Photographer Andy Murch. They are copyrighted material and cannot be reproduced in any way without the prior consent of the photographer. All licensing regardless of the nature of the project is subject to a reproduction fee. 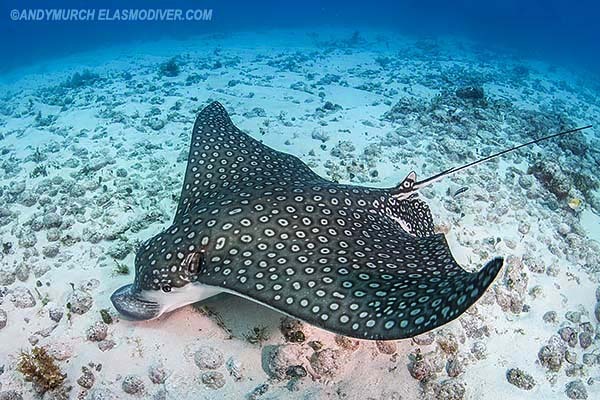 For more information about this species please follow this link: Whitespotted Eagle Ray Species Profile.